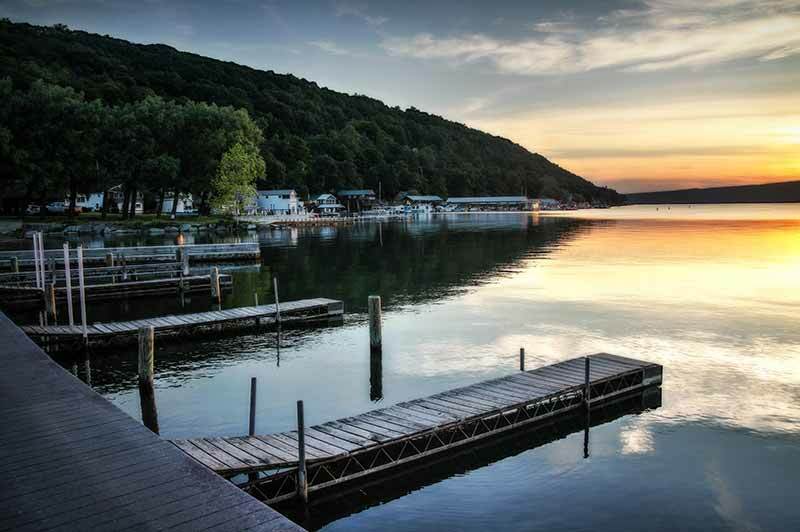 Escape to Hammondsport NY: A Beautiful Finger Lakes Retreat on Keuka Lake! Experience the unique wine country in Hammondsport NY, a peaceful vacation retreat in the beautiful Finger Lakes region. Dubbed the champagne center of America, Hammondsport lies at the southern end of Keuka Lake and is known for its museums, hospitality and prominent wine culture. Hundreds of acres of vineyards are clustered on the hillside, and the moderating influence of the lake, coupled with ideal soil conditions, produce vintage grapes that are pressed and aged into some of the world's finest wines and champagnes. Nine wineries rest in the valley and along the shores of the lake; several of them offer public tours and wine-tasting. Downtown Hammondsport has many boutique shops for visitors to pick up wine-country souvenirs and many restaurants for visitors to taste the great food of the Finger Lakes region. Hammondsport also offers visitors a variety of great hotels, motels and inns for a relaxing stay in beautiful upstate New York.